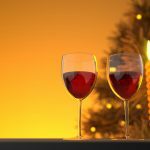 If you want wines to please everybody, that will also match just about any Christmas Day food or snack then you’ll need to get in at least three bottles of wine – a light red, a fruity white and a flavourful red that can double as an after-dinner port. 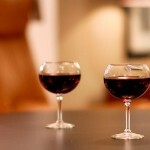 Trying to find wines that will suit all palates (from the wine connoiseur to the occasional drinker) is tricky enough without adding to fact that that they must also match a wide range of foods – from salmon starters, to roast meat mains, sticky puddings and the salted snacks munched during The Queen’s speech. So where to start? Light and fruity reds, like French Beaujolais or Claret, rather than hefty reds like aged Spanish Rioja or Cabernet Sauvignon, are your best bet. Lighter reds not only match white meats as well as more hearty roast beef joints, but they also have the additional advantage of having just enough flavour to be enjoyable without offending anybody. But some people just don’t like red wine. So this is where an additional bottle or two of well-known white grape variety wines are useful (Chardonnay or Sauvignon Blanc) plus something with a more traditional Germanic tang for the occasional drinker (Riesling, or the now fashionable Picpoul de Pinet which is light enough to act as an aperitif). A versatile white with sweet-sour flavours going on that make it match the Germanic tang requirement for the occasional drinker. Flavours of lemon, honey, almond and pear. An easy-drinking red with enough about it to match food of many sorts – either turkey, beef or vol-au-vents. A really nice white that is light enough to make an aperitif. Floral flavours of pear, honey and lemon. Aromas of banana, lemon and lime followed by flavours of light bubblegum. Quite subtle. A light red in an impressive looking bottle – buy this for the label as well as the flavour. Own-label red from the northern supermarket chain Booths. Hints of Bisto along with flavours of cherries, raspberries and chocolate. Watch out for the sediment at the bottom of the bottle. Flavours of black cherry, coffee and barley cough sweets. This is not your usual fluffy rosé but one with a bit of structure and flavour of chocolate cake alongside the strawberry and redcurrant. Made by English vineyard Ridgeview for Booths own-label range, this sparkling is made with all the same grape varieties as champagne and in the same way – but it’s got a bit more flavour. A bit of peach in the aroma and flavours of apple, lemons and yes grapes. And a final word to Suttons Seeds with their Christmas Gifts for Gardeners and their Vine and Wine gift at £25. 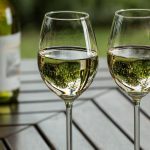 You get either a red or white grape vine plus a bottle of vino – with the white grape a bottle of Calvet Bordeaux Sauvignon Blanc and with the red vine a bottle of Calvet Cotes du Rhone. 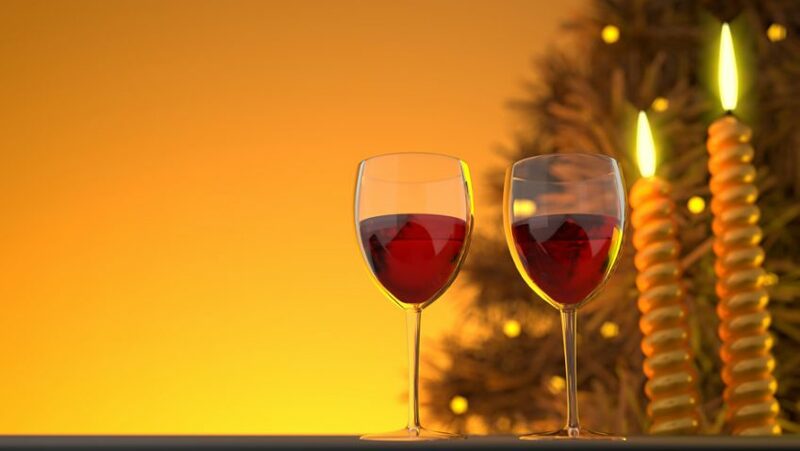 Both nice wines and both make nice additions to the Christmas table so you don’t have to leave them unopened until the ground warms-up and you can plant the vine.